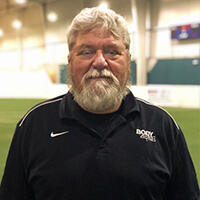 Body Zone is Berks County’s largest, most-used and only multi-field indoor soccer facility. Body Zone is a club-neutral facility and does not own or operate travel/premiere teams. We are the only facility in the area to have high school leagues developed under the direction of Reading United AC, the official player development partner of the Philadelphia Union. Please check back for future league registration.